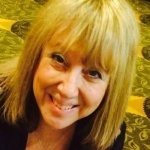 I just read this article and thought you might want to give it a read, too. 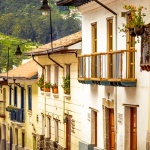 It\'s called Quito: 7 reasons to journey to the “Middle of the World” and you can find it here https://www.orbitz.com/blog/2019/03/quito-7-reasons-to-journey-to-the-middle-of-the-world/. 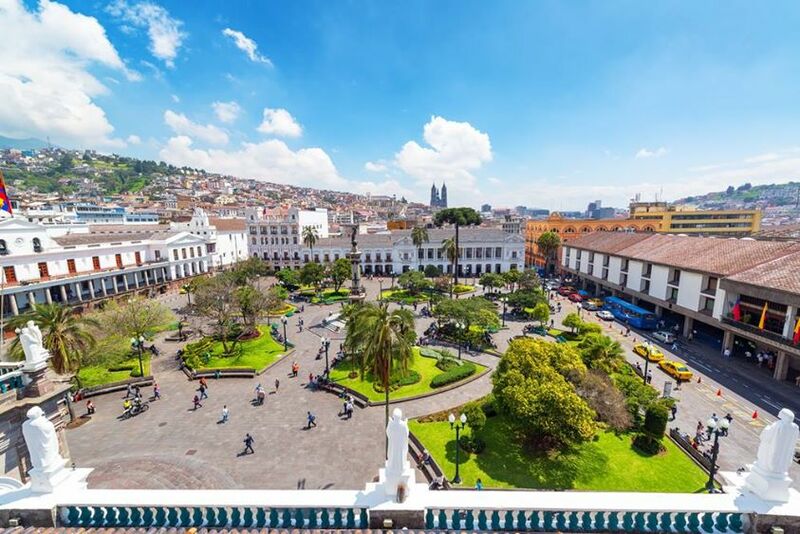 Ecuador’s 500-year-old capital is a city of contrasts, blending old with new and creating a warm and welcoming destination. 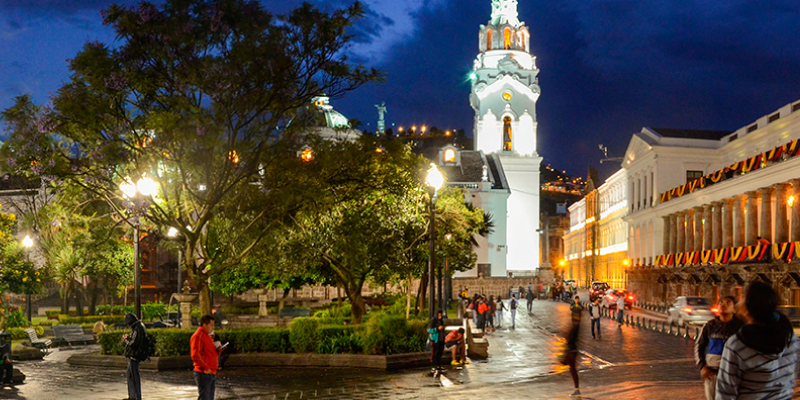 Considered the gateway to the nearby Galapagos Islands, Quito has become a destination worthy of its own exploration. Spanish colonial architecture, a wealth of cultural arts, fascinating indigenous communities and delicious cuisine are all reasons why the city was recognized as the first UNESCO-designated World Cultural Heritage City more than 40 years ago. Blessed with an abundance of natural resources and a temperate climate, Quito is known throughout the world for its delicious chocolate, fragrant coffee and gorgeous roses. You can also shop for exquisite textiles woven in scarves, ponchos and rugs, as well as handcrafted works at the artisan markets. Note: Ecuador uses American dollars (and also 110 voltage, which eliminates the need to carry a converter). 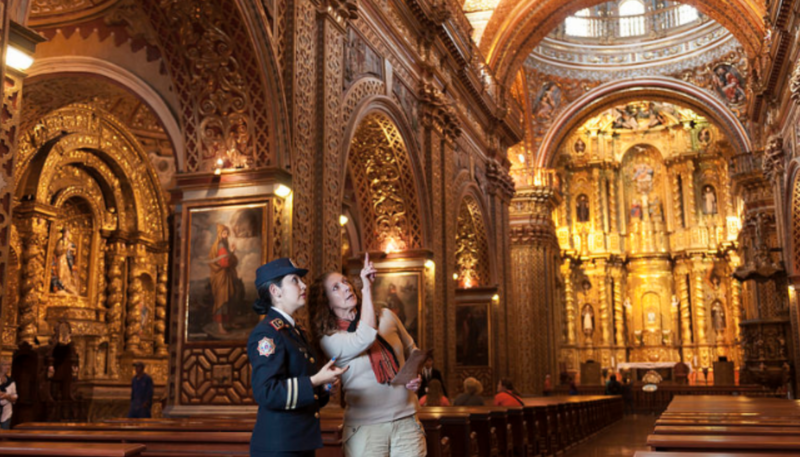 Get a feel for the history of Quito at the Plaza Grande Architectonic Complex, which includes the Presidential Palace, City Hall and La Compañía de Jesús, one of the most beautiful churches in all of South America. You may notice the green and gold domes almost piercing the sky. Go inside and stand in awe of the Baroque, Rococo and Neoclassical architecture, all gilded in magnificent gold leaf. See the ceremonial “Changing of the Guard” at 8:30am on Mondays featuring music, horse-riding troops and flag raising. Walk the cobbled streets of Old Town to San Francisco Market, the oldest open market in South America, which sells fruits, vegetables and flowers. In the back, you’ll find a variety of vendors selling natural herbs and oils. 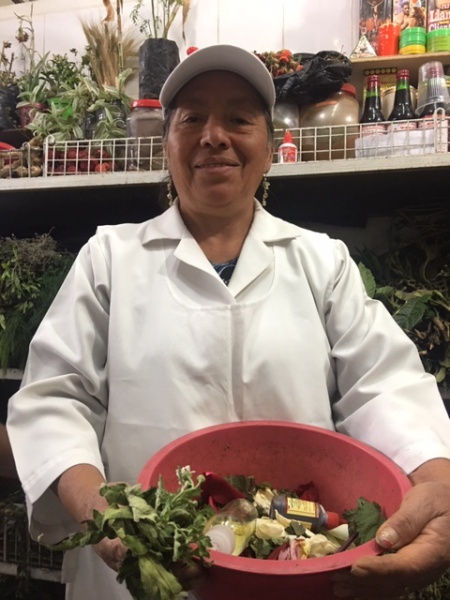 Enjoy a ritual cleanse with Señora Rosa as she brushes you with 12 different herbs and flowers to eliminate negative energy. She’s been practicing this ritual for 40 years, a tradition that was passed down from her mother. The cleanse, which takes about 12 minutes, feels like a one-hour massage. ALSO: Stop dreaming and start traveling. 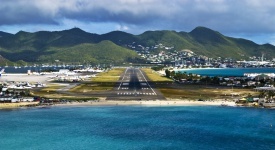 Join Orbitz Rewards and start earning travel rewards—instantly! 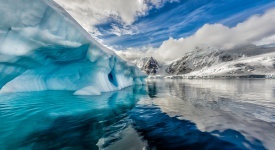 Yes, it’s possible to stand at 00 00 00 Latitude in the “Middle of the World” and watch physics experiments at work according to official GPS instrumentation. 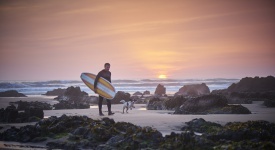 The best place to get in on all the action is at the Intinan Museum. Walk along the equatorial line with your eyes closed, watch a demonstration of the Coriolis Effect on draining water and try to balance an egg on a nail (just go with it—factchecking takes the fun out of it). 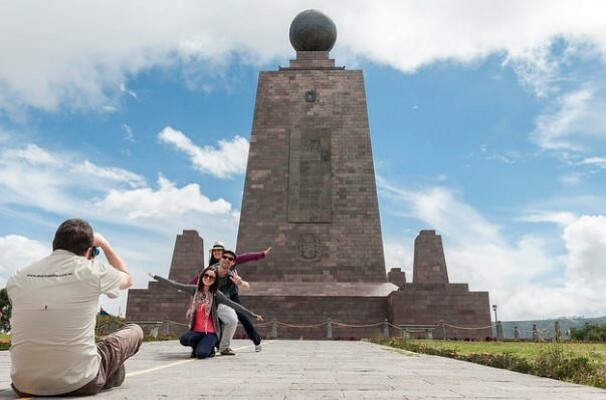 Once you’ve captured that for your Insta feed, head over to the Mitad del Mundo monument just a short distance away, where you’ll find the Ethnography Museum and Planetarium. Learn about the region’s indigenous communities and Ecuador’s place on the world map. Then: Straddle the two hemispheres and pose like everyone else! 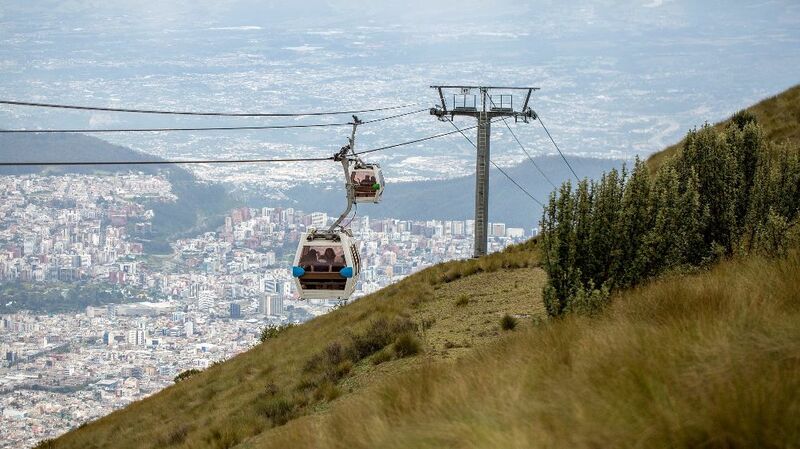 The TelefériQo is a line of 6-person cable cars that take passengers high up in the Andes in just 18 minutes. Built on the side of the Pichincha Volcano, the real treat is reaching Cruz Loma, at the top. Hike further up the volcano for exquisite Quito views, ride around on horseback or just relax with a cup of famous, steaming Ecuadorian coffee. Thrill seekers can bring a bike up and ride downhill in a quick 6 ½ minutes…pure exhilaration. 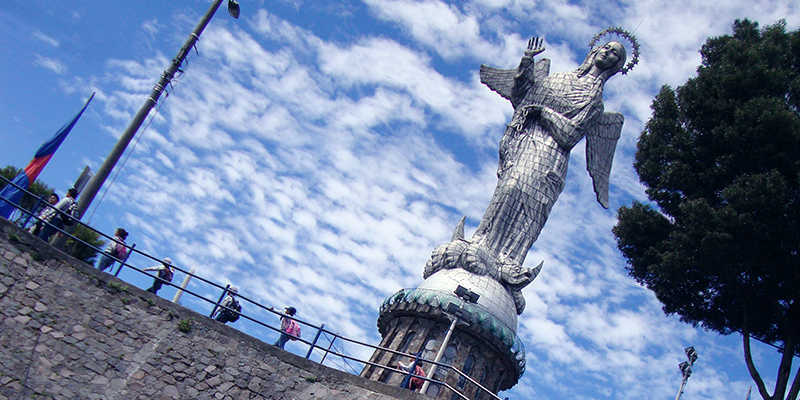 Overlooking the city with wings of protection is an aluminum statue called El Panecillo or the “Virgin of Quito.” The statue came to rest on a hill, almost 10,000 feet above sea level in 1976 and is the only figure in the world of the Virgin Mary with wings. Climb up to the base for lovely views overlooking the city. 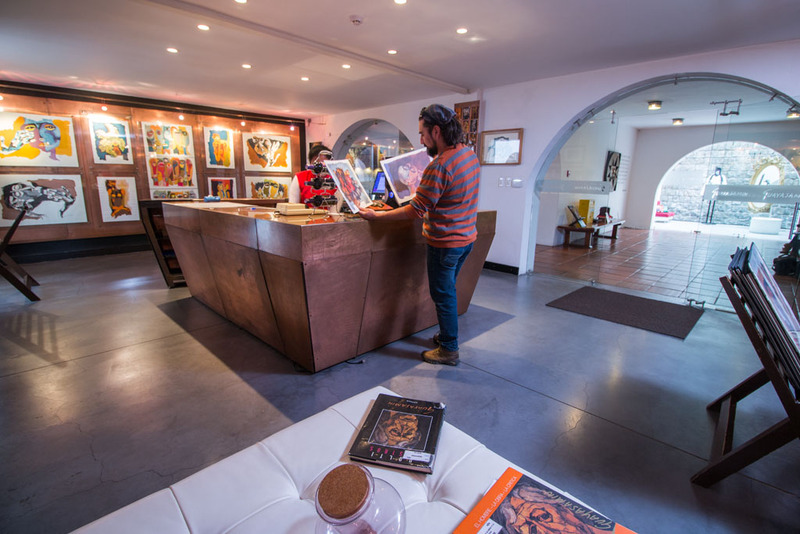 Showcasing the works of legendary contemporary painter, Oswaldo Guayasamín (1919–99) you’ll find a complete collection of the artist’s posters, prints and colonial religious art as well as other collections of pre-Columbian ceramic, bone and metal pieces. Admission to his home also includes entry to the architecturally stunning La Capilla del Hombre (The Chapel of Man Gallery). Quito just introduced a new app for travelers. Go UIO provides all the deets about where to stay, where to eat and what to do. 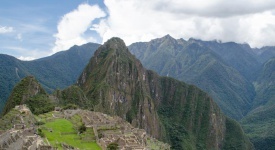 Download the app or go to quito.com.ec for more information.